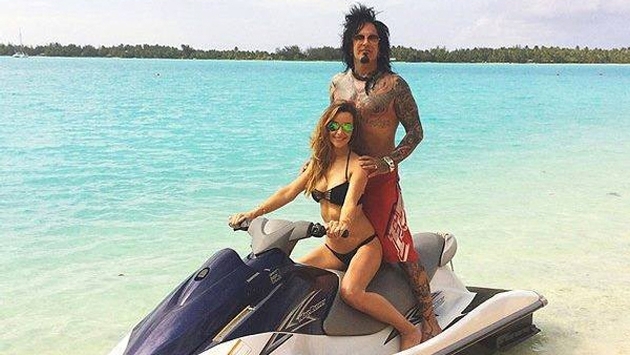 After tying the knot in a lavish Los Angeles wedding, Mötley Crüe bassist Nikki Sixx and his new wife, Courtney Bingham, jetted off to paradise for a romantic honeymoon in Bora Bora. The newlyweds reportedly said "I do" in front of 130 guests at Greystone Mansion in Beverly Hills on March 15. Following the ceremony, they indugled in some quality time together at the St. Regis Bora Bora, where they relaxed at the spa and on the beach, as well as in their private bungalow, People reports. The resort has been popular with other A-list celebs, including Nicole Kidman and Keith Urban, who also honeymooned there. Courtney, 28, showed off her rockin' bikini body while jet-skiiing with her 55-year-old husband. We had the most beautiful day jet skiing today in paradise! 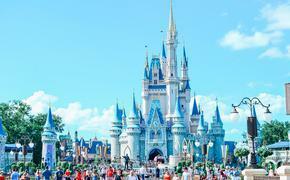 I have never been to anywhere SO beautiful in my life! We are so grateful! "They wed in a very sweet, religious-based ceremony," a source told People after the wedding. "They couldn't say 'I do' fast enough." What do you think of honeymooning in Bora Bora? Would you choose the tropical destination for YOUR honeymoon? Why or why not?